My final journey to Beira was safe, except for my luggage that arrived 48 hours late and a somewhat clumsy and inconsiderate air ticket booking from Raptim. Cheap things are not always cheap! The services of Kenya Airways leave much to be desired too, but that is a topic for another day. The presence at the airport, of the Missionaries of Africa led by Boris, was gratifying. For me, a new mission has started in Mozambique after a 25 year spell elsewhere. I started my language learning about a week ago and still wonder why at my age, I have to be saddled, beside English and French, with the learning in Africa, of another colonial language – Portuguese! But Missionary life is “For better, for worse”, right? 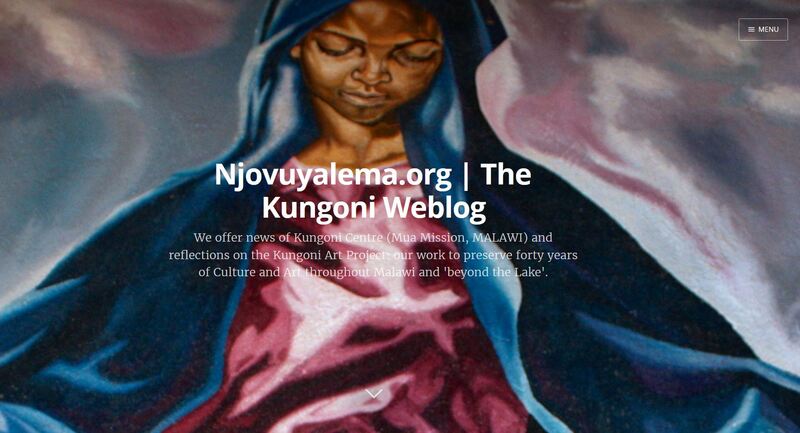 So nothing will becloud the hopes of this nascent divine mission to the “African world”. Homily under a car park. My ordination anniversary date, August 8, came up within two weeks of my arrival. The Delegation insists on a celebration, at least to water the seeds of my new mission. 25 years is not a joke, they said. It is akin to what a diocesan priest at home called “Priesthood with hard labour”. Hear! Hear!! And before I could say ‘Obrigado’, Boris Yabre, with M.Afr students at home was up and doing. 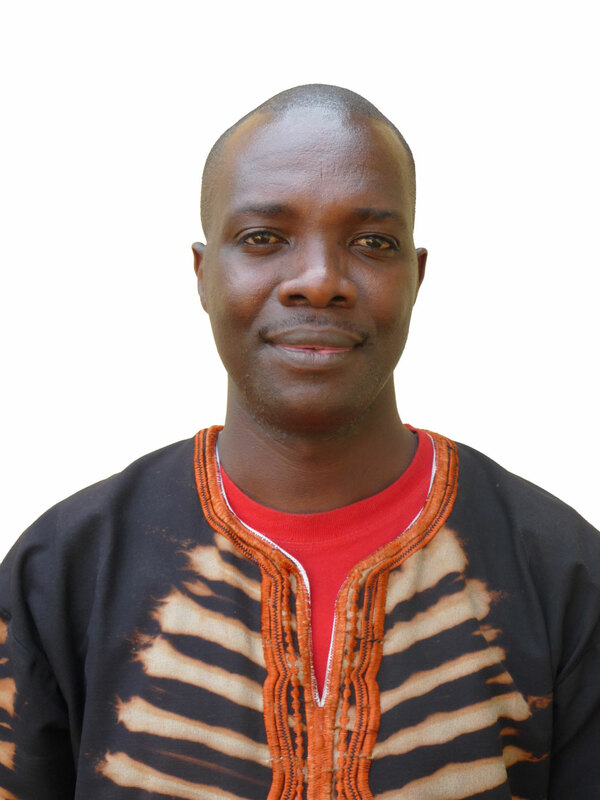 Rafael Gasimba ‘sailed’ from Dombe land with the stagiaire. Frank Mbala Kalala and Florent Sibiri Sawadogo with another C.A.T. ‘flew’ in from Sussundenga. Fidel Salazar del Muro and ‘senior apostle’ stagiaire Olivier, ‘astral-travelled’ from Centro de Nazaré, just less than five minutes’ drive away! Friends, brothers and sisters from the other mothers, made the day at the Delegation House as Julian Kasiya and Pierre Kabwe Lukusa from Tete Mission, could only participate – electronically. Anointed, (literally and metaphorically) to preside over the Eucharistic celebration, the car park of the house was the best temporary house of God. The students did a good job of cleaning. Being the memorial feast of the great preacher of the Word, St Dominic, the readings were taken from the references for the day. My reflection was on Luke 9:57-62. Even when the initiative comes from the Master (it always does), “Follow Me”, the response is hesitant, like coming from one who is not ready, who is more worried about family duties than concerned for the mission. A natural realist, his response is to first go and do his natural duty: “Lord, let me first go and bury my father”. Yes, there is a duty to perform and the best way to avoid responsibility is to say “I have responsibilities”! And Jesus’ response is simple: “Leave the dead to bury their own dead; but as for you, go and proclaim the kingdom of God”. You are not the saviour, not even of your family, for it is not your duty that saves. You have your path to follow. Be detached from the accidentals of life to re-focus on the essentials. Remain resolute and vigilant. 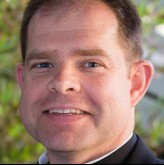 The third encounter and dialogue in vocation discernment is like the first. The attachment is not as serious as the first. He only needs to “…first say farewell to those at home”. “No one who puts his hands to the plough and looks back is fit for the kingdom of God”, was again Jesus’ response. Mission is about being resolute and ‘staying fit’ for the kingdom of God. Grace is mine to say that in more than 25 years, I have journeyed with Jesus through these three stages of call-response paradigms. I delayed for five years, my missionary vocation to attend to family and personal needs. Then, when I thought I was ready, I also thought that I could shift those family responsibilities to my brother in USA. Well, he got murdered a year before my Missionary oath, and I said ‘zut alors!’ – whatever that meant. Then I understood that I must follow Jesus ‘naked’; re-engineer my assurances and security packages to fit into his plan so that “no one takes this honour on himself…” Ever since I did, passing through thick and thin of the mission, I have been sustained by this word of the Master in response to Peter’s prevarications: “Anyone who left father, mother, sister, brother… on account of my word, shall receive a hundred fold…and in addition, eternal life”. I have, believe me; for God lives in an eternal now, and I am satisfied. And I know that if I have not stayed infallible, I have remained graciously indefectible. 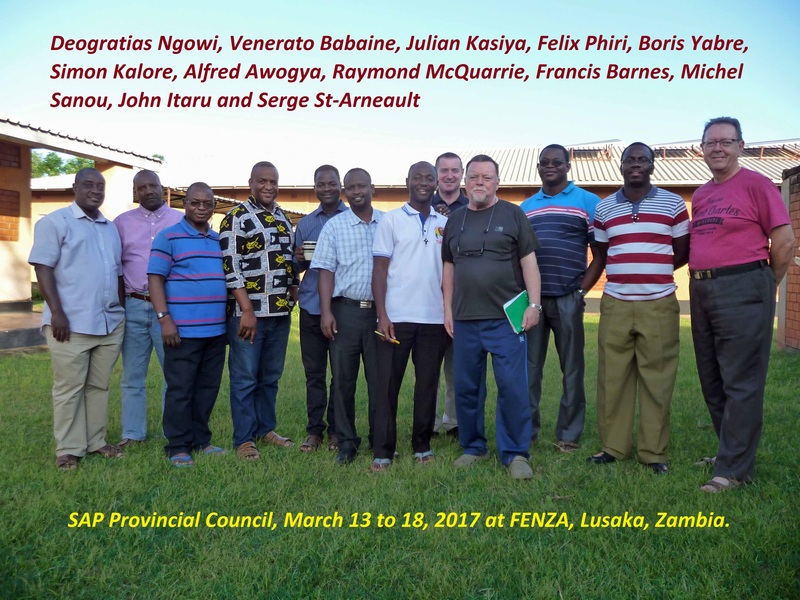 A ‘Finale’ on 125 Years of Catholic Faith in Zambia – July 15, 2017. Catholics gather in the show ground during the celebration of the 125 years of the Catholic Church. It has taken a whole year of various celebrations to mark a hundred and twenty-five years since the Catholic faith was brought to Zambia by the missionaries in 1891. Part of the opening of these celebrations was the Eucharistic celebration held at Mambwe-Mwela on 6th August, 2016. It is at Mambwe-Mwela where the first missionaries settled down in the present day Republic of Zambia. 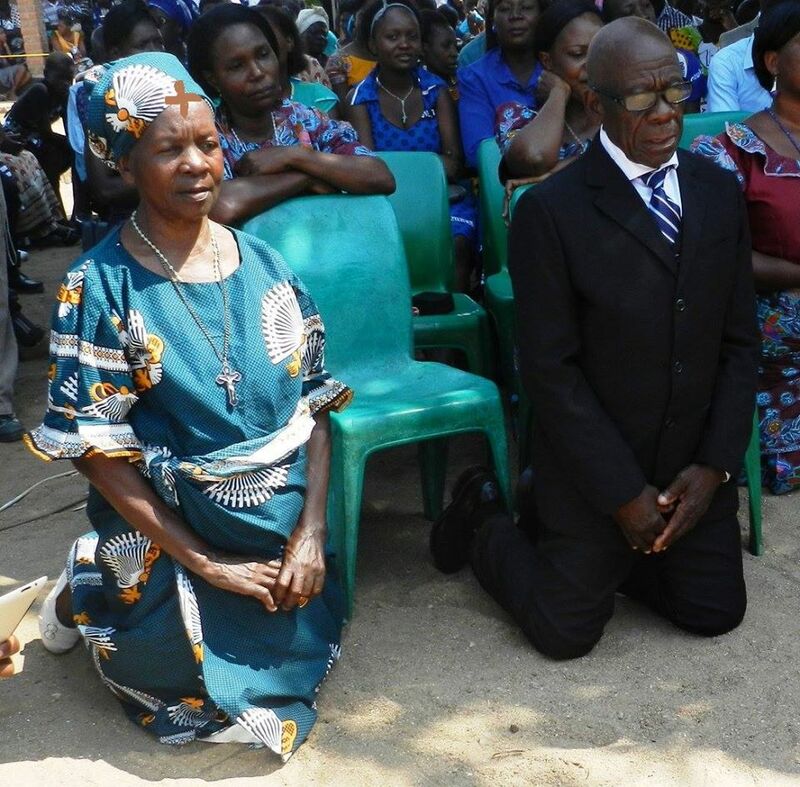 Catholic dioceses and parishes in Zambia held various celebrations to mark all these years of Catholic faith in Zambia. Kasama Archdiocese, as an example, closed the year with a Eucharistic celebration held at Chilubula (Mary Help of Christians Parish) on 24th June, 2017 on which day two deacons were ordained to priesthood. For the national celebrations to mark the end of 125 years of Catholic faith in Zambia, two days were set aside in the Archdiocese of Lusaka. On Friday, the 14th July, 2017, all the roads were leading to Lusaka from all the Catholic dioceses in Zambia. This day was dedicated to the Catholic Youth. They had various activities and talks in the Cathedral of the Child Jesus (Lusaka) and then proceeded to the Agricultural Show grounds for the Eucharistic celebration. The youth and their patrons/matrons had a coloured procession of about three quarters of an hour accompanied by two musical bands. At the end of Mass, the Catholic bishops came to convey their wishes to the youth. The final ‘finale’ was the Eucharistic celebration held in the Agricultural Show grounds of Lusaka. The Apostolic Nuncio, Most Rev Julio Murat, all the Zambian Catholic bishops and the two archbishops were present. Two bishops from Malawi and Zimbabwe also came. AMECEA sent a representative. 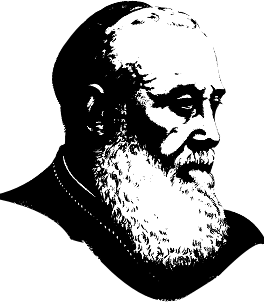 The Superior General of the Missionaries of Africa, Fr. Stanley Lubungo, who happened to be in Zambia at that time also attended. Indeed, not fewer than twenty-five Missionaries of Africa (White Fathers) were present! The government of the Republic of Zambia was represented by the Vice-President, Inonge Wina, and several ministers. The main celebrant of the Eucharist was the Apostolic Nuncio but the homily was delivered by the Archbishop of Lusaka, Telesphore-George Mpundu. In his homily, the Archbishop highlighted the dedication and self-giving of the early missionaries despite the difficulties, many of whom died in their early years of missionary life due to diseases. He urged the present day Catholics to take a leaf from them; quoting the theme of Mansa Diocese “We are the Missionaries of today”. Archbishop Mpundu urged Catholic faithful of today to be more self-reliant. He also underscored the holistic human developmental work carried out by the Catholic Church in Zambia. One can easily estimate about five thousand Catholic faithful attended the celebration, not counting the priests and the religious. At the end of the celebration, medals were presented to the Catholic faithful who have dedicated to evangelisation. These were dedicated men and women, laity and religious. For the Missionaries of Africa, three confreres were decorated with medals, namely Henk van Kessel, Jean-Luc Gouiller and Robert Lavertu. A colourful celebration to mark the ‘finale’ of 125 years of Catholic faith in Zambia. By Rodgers Mwansa: Missionaries of Africa Student. I was privileged to be part of the ceremony that took place at Lavigerie house in Chipata. Among the clear and worth learning ideas that came from different speakers, I found it valuable to share some sentiments that came from the Bishop of Chipata Diocese, George Zumaile Lungu. “We awe sincere gratitude to the Missionaries of Africa for having brought the faith to Chipata. What else should we say than thanking them greatly, pray for them and the fruit of faith they have planted in us” (Bishop)? In the process of uttering the above words, Bishop Gorge Zumaile Lungu was pleased with the presence of the Missionaries of Africa in his diocese. Just from his articulation and facial expression one could easily feel a sense of joy in the heart of Bishop George Zumaile Lungu. 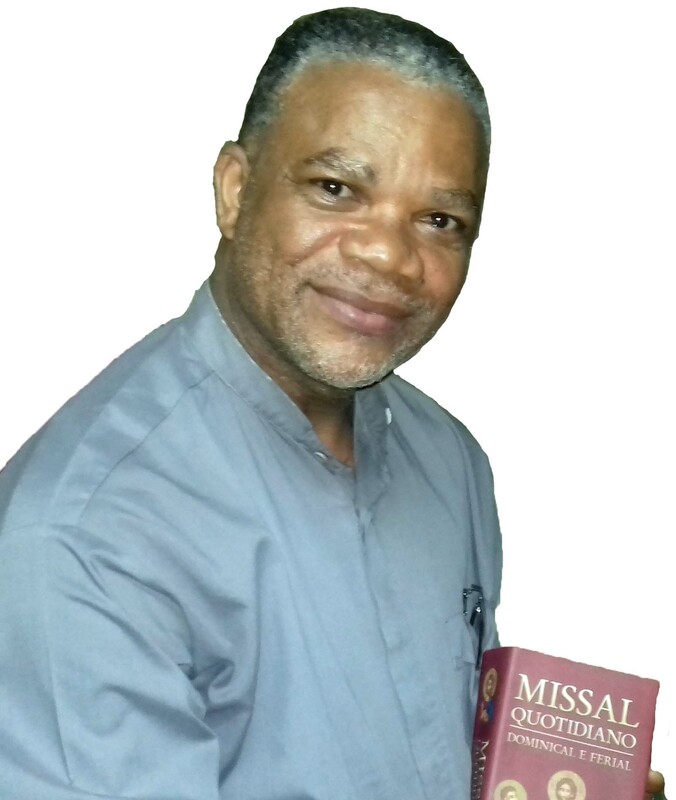 The Bishop in his words expressed gladness and appreciation to the Society of the Missionaries of Africa for placing a formation House in his diocese. Again he was pleased to discover that his Christians are proudly involved in the formation of young men in readiness for the mission. 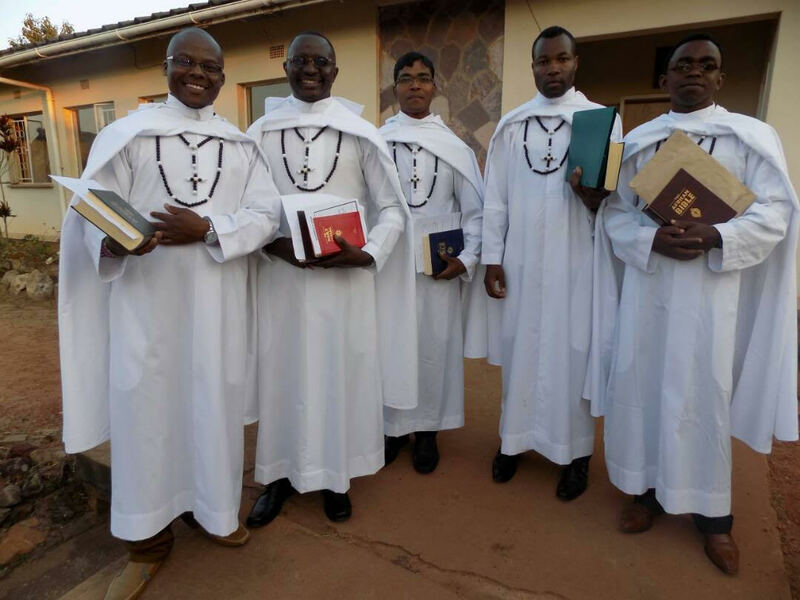 In as far as the Missionaries of Africa participated in the education of faith in Chipata diocese, George Zumaile Lungu believes that today, the hands of his Christians are forming Missionaries of Africa. The above was in recognition of the families who, without hesitation, opened their doors to welcome Missionary of Africa students in their families. The Bishop believes that the period students stay in families is as well an experience of formation and transformation. Again he was proud of some Christians who dedicated their time to go and teach some courses in Lavigerie formation house. 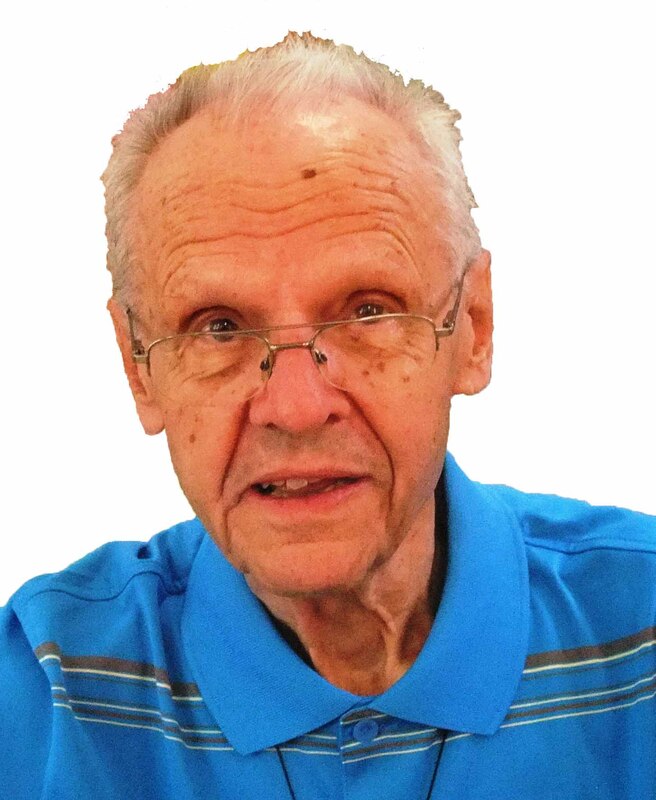 For him, all the involvement of his Christian families is being part of the formation team and that is what he calls brewing a Missionary of Africa in an African clay-pot. “I am the commander in chief of this diocese. As a commander I have to know where big fire is coming from. So I will be careful in the manner in which I locate responsibilities. For you Missionaries of Africa always remember your first charism; primary evangelization”. In saying these words, the bishop encouraged the young men who finished candidate course to take formation more serious because the task ahead is not for frail individuals in as far as Missionary life is concerned. He emphasized that the society they were joining has a charism that has no jokes at all hence, adequate preparation and prayer is a necessary value. With the above recognition and recommendations from the Bishop, I consider being reminded of the Missionaries of Africa purpose and keeping the zeal that was born at the beginning of this society. In respect for time and space, the society is playing significant roles that maybe acknowledged and appreciated in little occasions. In all mission involvements, Glory to God for inspiring Cardinal Charles Lavigerie and the entire Society of the Missionaries of Africa with the continuing concern for salvation and wellbeing of humanity. 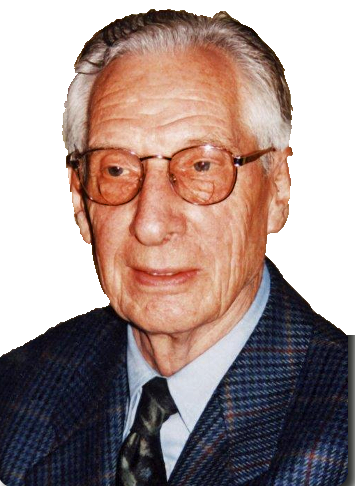 Death of Father Bernard Poisson. 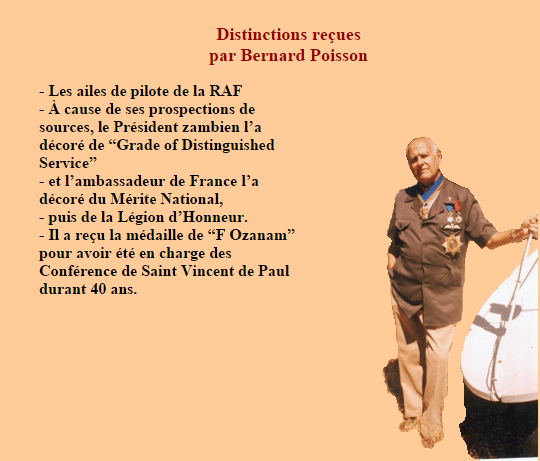 Father Patrick Bataille, Provincial Delegate of the sector of France, informs you of the return to the Lord of Father Bernard Poisson on Wednesday the 17th May 2017 at Billère (Pau – France) at the age of 91 years, of which 66 years of missionary life in Zambia and in France. Maman n’est plus, sans nous dire au revoir! Paix à son âme ! Mama, Teleza Kayuni you don’t even say goodbye. May your soul Rest in Eternal Peace! The Provincial Delegate of SAP in Malawi sent us a message through WhatsApp announcing the death of the mother or our confrere Paul Kitha who is currently in Burkina Faso as a missionary. 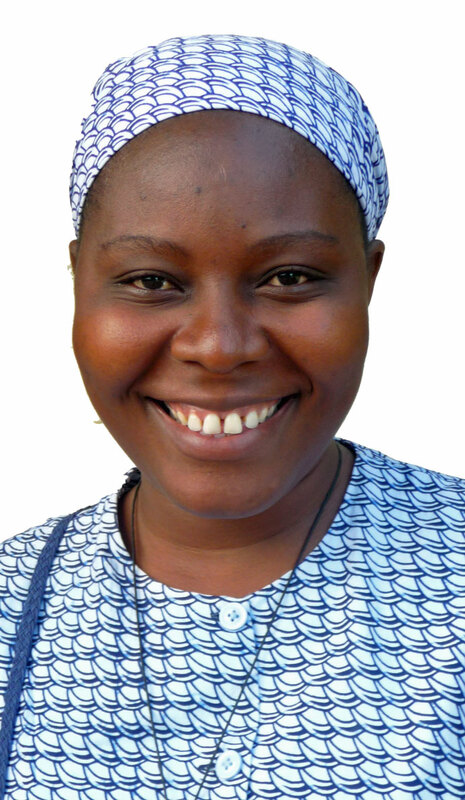 Thereza Kayuni passed away yesterday in Mzuzu. She died peacefully as she was having her midday meal. She dropped her plate and felt on the side. The program of her funerals and burial is not yet final. Let us pray for Paul’s mother and also for Paul and the entire family. 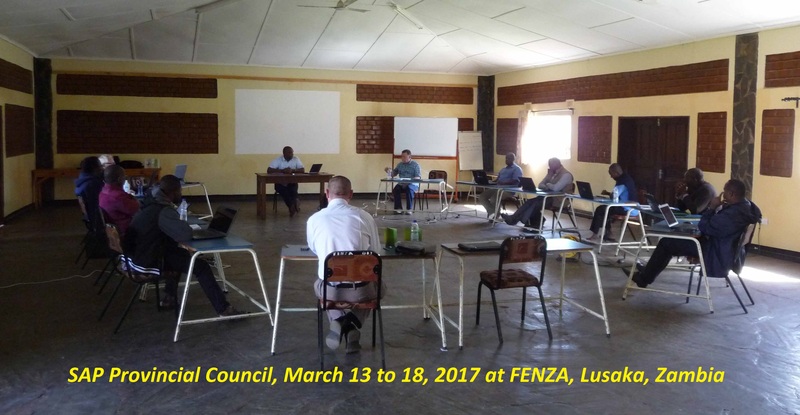 SAP Provincial Council gathered on the third week of March at FENZA, Lusaka, for its first meeting of the year. 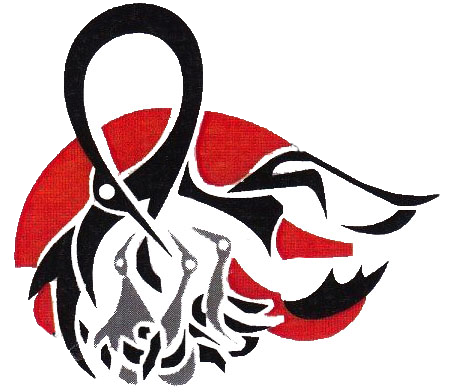 As usual, the four Sectors of the Province were represented by their Provincial Delegates and their Councillors. 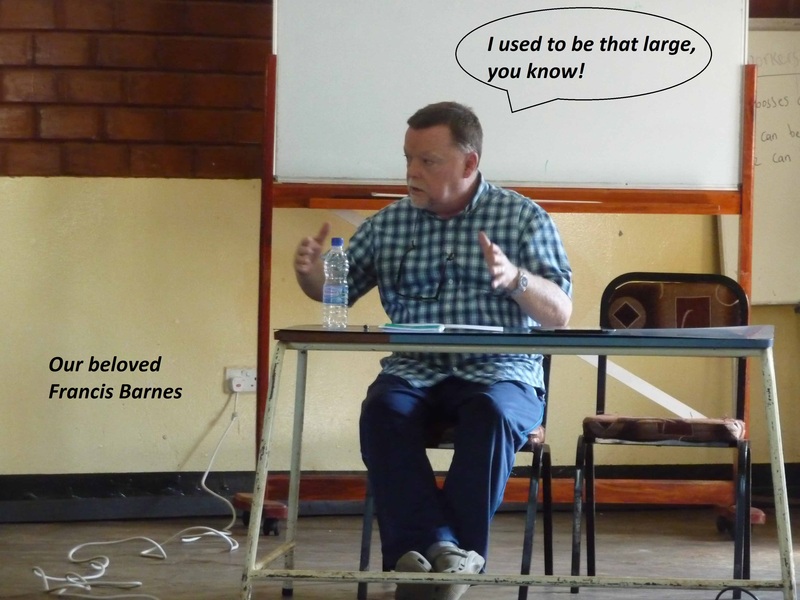 From Rome, Francis Barnes was also present with his usual sense of humour. A word of thanks was given by the Provincial, Felix Phiri, to Serge St-Arneault who will be ending his mandate as Provincial Secretary in few months from now. He has been appointed as Director of the Afrika Center in Montreal, Canada. Michel Meunier will replace him from July 2017. BY Sister Vickness Nangogo Muleya, MSOLA. On the 26th February, five days after my arrival in Paris, Sister Agnes, who once was my Novice mistress, and I went to visit our Sisters in Sceaux where we were invited for lunch. When I had heard about the invitation, I was not sure whether I really wanted to go because I did not know how to speak French. I told myself not to trouble the elderly Sisters when I cannot speak French and they cannot speak English! I wondered to myself what it would be like and as I thought of it, I said to myself, “I won’t go but would propose to Agnes to go there when I could speak French!” Indeed, I tried to propose to her as, so far, since my arrival she has been so kind to show me around the place also because she can speak English easily. However, when I proposed to her to inform the Sisters that I would go there sometime later in March and not then, she did not agree with me. She believed that it would be no problem and that the Sisters did not mind at all even though I did not believe her. Mmmmnh! My plan to escape could not work. However, on that particular Sunday, after Mass, we prepared to go. We took a train and in no time, we were there! Inside me I was trying hard to recollect all little words of French I had heard or learnt before but to no avail! We arrived in time before lunch so that I could greet the Sisters and be introduced to them and vice versa. Upon arrival, we found Sister Marie Cécile waiting to welcome us with a big smile on her face! I told myself ‘now what to say Vicky’ and before I knew it, I was also beaming with a smile, we hugged and said our “bonjours” and that was all, I was mute, my French was finished! Turning around, the Sisters were all there coming one after the other to greet and welcome us. Nonetheless, surprisingly enough, the Sisters seemed not to mind at all that I could not speak French. What seemed to be more important for them was that a younger Sister, their own Sister, fresh from Africa was there to visit them. They were eager to hear from me the news about where I was coming from, what I was doing and so forth. Inside myself, there was no question of language anymore but I was only filled with love for these Sisters of mine who were so happy and graceful! They are all old but very serene and happy, grateful for whatever they have been, lived and are in their life. At lunch, I sat with Sister Françoise de Traversay. We were in the same community during my postulate; Sister Agnes, who had accompanied me, Sister Claire-Michelle, who has worked in Uganda, and Sister Nicole Robion. I leave you to imagine the conversation! To my happy surprise, after lunch, I saw each Sister getting busy with a little service. Some were cleaning the tables, others were cleaning the dining floor and others offered to place the washed dishes in their respective places! Noticing my admiration, one Sister explained that, in fact, they do most of the simple and sometimes big responsibilities themselves such as bursar, accounts, secretariat and administration! 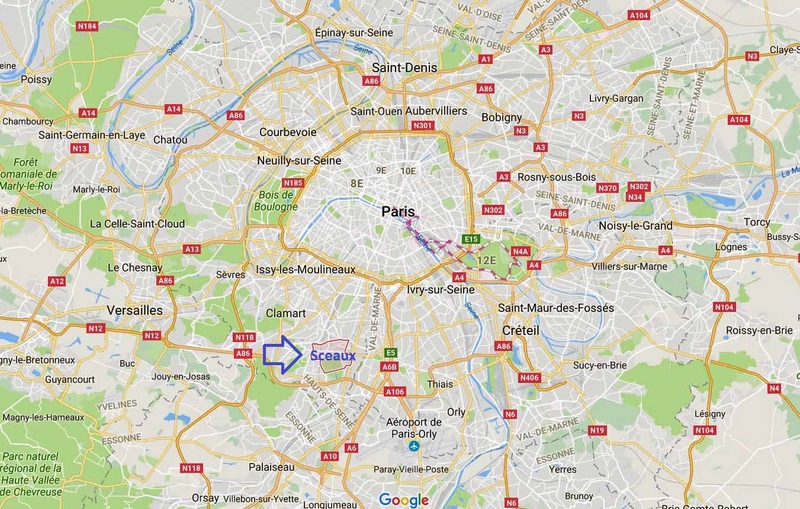 After it, they went for a short nap each to their room while Sisters Marie-Cécile, Francoise and Agnes took me for a walk through the park of Sceaux. A very big and beautiful park. In addition to the beauty of the day, at 2:30 pm, all the Sisters gathered in the sitting room where I was to share with them the video about the Thanksgiving Mass and departure of MSOLA from Zambia. This moment was so solemn and created a reflective, appreciative atmosphere among the sisters. They were very happy and grateful that I had shared the video with them. They even proposed to show it to all the other communities I would visit later, in the days to come. At the end of the day we had a cup of coffee together and interacted more, it was wonderful! Perceptions and conceptions are not always what the reality is. Today I am happy to have a joyful, happy appreciation of our common mission. I was happy to see life among these elderly Sisters, looking at them being so happy and at peace with each other. I felt encouraged and I experienced God very close to his loved ones. With God, life is eternal! Traduction en français de sœur Vickness qui ne fait que commencer à s’exprimer en français. Félicitation! Une belle histoire de Sœur Vickness à Paris, France. Le 26 février, six jours après mon arrivée à Paris, Sœur Agnès, qui a été ma maîtresse de Novice, et moi-même, sommes allé rendre visite à nos sœurs à Sceaux où nous avions été invités pour le déjeuner. Je n’étais pas sûr si je voulais vraiment y aller, car je ne parle pas la langue de Molière.Pourquoi déranger les sœurs âgées si je ne peux pas communiquer avec elles ? J’ai plutôt pensé à m’y rendre seulement lorsque je parlerais le français! C’est ce que j’ai proposé à Sœur Agnès qui était d’ailleurs si gentille avec moi et peu parler anglais. Mais elle n’a pas été d’accord. Elle savait que les sœurs ne se souciaient pas du tout de ce problème linguistique. Mmmmnh ! Mon plan de fuite n’a pas fonctionné ! Toutefois, après la messe du dimanche, nous nous sommes préparés à partir. Nous avons pris un train et nous y étions en peu de temps! Je m’efforçais de me rappeler toutes les petites paroles de français que j’avais entendues ou apprises, mais sans succès! Nous sommes arrivés avant le déjeuner pour que je puisse être présenté à la communauté. Nous avons trouvé Sœur Marie Cécile qui nous attendait avec un grand sourire ! Je me disais « maintenant quoi dire Vicky ? » et avant que je le sache, je rayonnais aussi avec un sourire. Nous avons simplement dit “bonjours”. C’était tout. J’étais muette ! Me retournant, les sœurs sont apparues pour me saluer et nous accueillir. Les sœurs ne semblaient pas du tout gênées que je ne puisse parler français. Ce qui leur était important, c’était de voir une sœur cadette venue d’Afrique pour les visiter. Elles étaient impatientes d’avoir des nouvelles de mon pays, ce que je faisais et ainsi de suite. À l’intérieur de moi-même, il ne s’agissait plus de langage. Je n’étais que remplie d’amour pour mes sœurs qui étaient si heureuses et si gracieuses! Elles sont toutes âgées, mais très sereines, heureuses et reconnaissantes pour ce qu’elles ont été et vécu dans leur plus jeune vie en Afrique. Au déjeuner, je me suis assis avec Sœur Françoise de Traversay qui a été dans ma communauté pendant mon postulat. Agnès, qui m’avait accompagnée, Sœur Claire-Michelle, qui a travaillé en Ouganda, et Sœur Nicole Robion. Je vous laisse imaginer la conversation ! Après le déjeuner, à mon heureuse surprise, j’ai vu chaque sœur s’occuper d’un petit service. Certaines nettoyaient les tables, d’autres le plancher de la salle à manger, d’autres plaçaient les assiettes et plats lavés dans les armoires! Remarquant mon admiration, une sœur a expliqué qu’elles assument la plupart des responsabilités; économat, secrétariat et l’administration. Puis, elles allèrent faire une petite sieste dans leur chambre tandis que les Sœurs Marie-Cécile, Françoise et Agnès m’ont amené faire une promenade dans le parc de Sceaux. Un très grand et beau parc. En après-midi, toutes les sœurs se sont rassemblées dans la salle de télévision pour visionner une vidéo sur la messe d’Actions de grâces et la fermeture de notre dernière maison de Lusaka en Zambie. Ce moment a été solennel et a créé une atmosphère réfléchie et appréciative parmi les sœurs. Elles étaient très heureuses et reconnaissantes que j’aie partagé cette vidéo avec elles. Elles m’ont même proposé de le montrer à toutes les autres communautés que je visiterais plus tard. À la fin de la journée, autour d’une tasse de café, nous avons pu poursuivre nos échanges. C’était merveilleux ! Perceptions et préconceptions ne reflètent pas la réalité. Aujourd’hui, je suis contente de pourvoir apprécié notre commune mission. J’ai été heureuse de voir ces sœurs âgées pleines de vie. Elles sont sereines et vivent en paix les unes avec les autres. J’ai senti la présence de Dieu dans celles qu’Il aime. Avec Dieu, la vie est éternelle !